As soon as you enter a fashion store on your local High Street, you are being assessed. A professional store assistant has by then already scanned your outfit, clothes, shoes and accessories to find out what your personal style and taste is like. She or he will then pull out styles from the vast ranges of clothes that match your preferences and personality – a procedure that will most likely trigger conversion. Conversion means that you will also buy something once you have come into the store. A store’s conversion rate – a key measurement of its success – is the percentage of customers who come into a store versus the people who leave with a purchase. But what to do in a world that is more and more being dominated by smart phones? Where shopping is increasingly done on computers with no shop assistant there to support sales? Worldwide retail ecommerce sales amounted to more than 22 trillion US Dollars last year and it is estimated that by 2020, online sales will top 27 trillion US Dollars. A huge market and a lapse when sluggish conversion rates are being ignored. 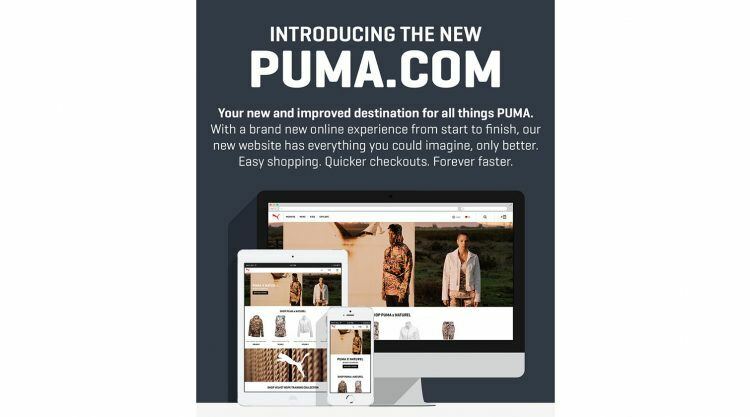 “We used to have more visitors than buyers on the mobile version of our webstore,” said Ken Kralick, Head of Global eCommerce. 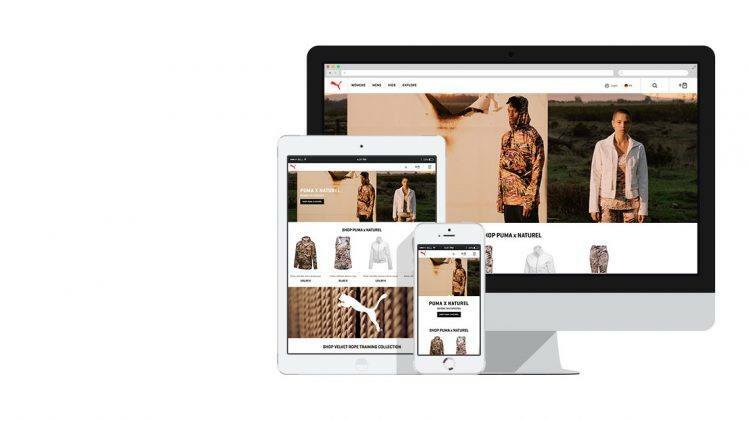 That dilemma was the trigger point for PUMA’s eCommerce Team to optimize PUMA’s online shop puma.com with a new version, that went live in July this year. A team of up to 100 people was involved in this 9-month-long project. Around 20 external service providers, such as warehouses, Paypal, credit card companies or risk checks had to be aligned. “It was hard work to coordinate all the different players and if one was a day late, it had implications for all the others”, said Felix. Even more adventurous was the fact that the Team decided to have a brand new software developed rather than going for something already established. “We are the first and only company that uses this platform”, Ken said. Being a pioneer often gives you a headstart, but it also takes a lot of courage. “We now have a much better mobile application that is much faster than established platforms, it has a fresher appeal to it, but it also meant that we were running much higher risks. In the beginning, we had a lot of bugs, but we are now working our way through and by the end of September, it should all be up and working as expected”, Felix added. Just in time for Christmas sales. We have applied to present our cutting-edge web store at South by Southwest (SXSW) festival, a massive arts, music and technology conference that takes place in the US. SXSW Interactive is focused on emerging technology, a focus which has earned the festival a reputation as a breeding ground for new ideas and creative technologies. However, presenting cases have to be voted for by the public, so please help us now to land a highly sought after spot on the Austin-based conference’s lineup for March. Step 6: Cast your vote by clicking the Vote Up icon on the left hand side of the page! "This was an enormous undertaking that our team has successfully managed. Over the period of nine months, we had to work under tight deadlines, coping with a lot of pressure, overcoming high frustration levels and piling up a lot of overtime. The team has done very, very well and I am proud that the launch was smooth and successful." "It was bit like a marathon. The closer we came to the finish, the greater was the strain and you are just inclined to throw the towel. Over weeks and months, the actual business was secondary and it was all about the new webstore project. We had to postpone the go live date twice, because critical features wouldn’t work and then your overall feeling is that it is going downhill. Our nerves were in tatters. 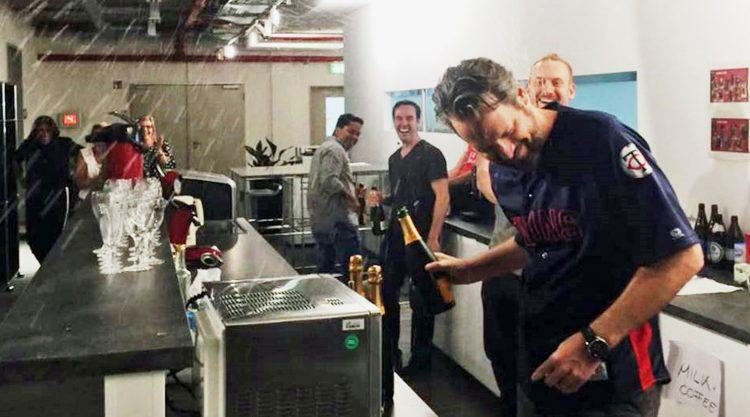 But then, when we went live and it was working, it was the best feeling ever." Big steps, big names, big achievements! 2018 had a lot up its sleeve for us!